Da Lat Shelter for Blind Children is a home for children and youngsters with visual impairment. Currently, there are 26 children living in the shelter, with six of them going to public school (both primary and secondary school). The smaller ones are learning how to use braille and basic knowledge (Vietnamese and mathematics) at the shelter in preparation for them to attend public school. There are also other children who have multiple disabilities and are not able to begin studying yet. To help the children in the shelter live happily and develop beyond their visual limitations, especially when they grow up, the shelter was very much in need of support to be able to buy some computers and musical instruments. Therefore, saigonchildren created a project on Developing Music and Computer Skills for Blind Children which was sponsored by PREMIER OIL and SANTOS, PVEP. Thanks to this great donation, the Head of Shelter purchased five sets of Dell desktop computers and three Yamaha keyboards to equip the shelter with tools to develop computer and music skills for the young students. Children in this shelter are very musically inclined so they enjoy making music and singing for themselves and for visitors. With the new keyboards, they get to practice playing every weekend with a volunteer coach. They had a hard time getting familiar with the keys at first, but after three months of practice, they can now play or accompany many songs. It can be easily seen that their spirits are uplifted as the music has nourished their souls. Before having the computers in the shelter, the blind children had to practice typing using old broken keyboards. Hence, when the computer arrived, they were ready to learn how to make a document. A talking software was installed to these computers to help the children use them more easily. The computer lessons were taught by a teacher in the shelter three times per week for each student, depending on the students’ schedules. After three months, the older students were able to read Braille texts with their hands and type them on the computer. The younger students can type easy words read by the teacher. They all concentrate and try very hard to learn this new complex skill. This project is done with the hope that the use of computers with access to the internet will allow them to be opened to the world, to learn more knowledge and to get access to additional information about life around them. And the use of musical instruments will enable them to free up their emotions and thus help them to live happily. Thank you for your subscribing to saigonchildren newsletter. Your subscription is now complete. How are children chosen for sponsorship? – Family’s financial situation (average income is classified as poor or near-poor based on the national poverty line, expenses/debts, possession of assets). – Family’s ability to earn, including if any family members have no or limited ability to work due to illness or disabilities. – Family circumstances, including whether one or both parents’ have left, passed away or are working far from the child’s home. – Lack of/limited support from other NGOs or from the government. How is my sponsorship donation used? Our scholarship packages differ depending on the level of the student – university students receive assistance to pay tuition fees, whereas school students generally receive school supplies (textbooks and notebooks), a new school uniform and 10 kg of rice per month during the school year. We also work with children themselves to provide social services such as counselling for children at risk of dropping out and for children returning to education. 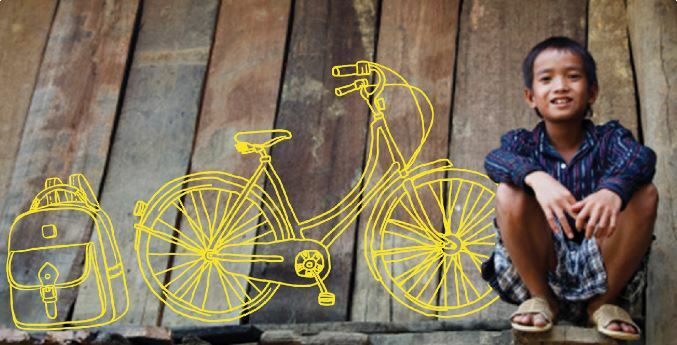 How does saigonchildren Child Sponsorship work? – As a sponsor, you will support a child who lives in a saigonchildren programme areas. You will be the only sponsor for that child. – Saigonchildren visits each child in their home to assess their level of poverty and suitability for the programme. – After students are chosen to receive saigonchildren’s scholarships, we hold regular meetings with the children and, where possible, with their families to assess and reassess their needs. – Saigonchildren gets to understand the children individually and maintain contact to ensure that they continue to have what they need to attend school. – Saigonchildren collect students’ study reports. Although academic excellence is not a criterion for selection or to stay in the programme, we value their efforts in overcoming difficulties to get to university/college, which are reflected in the study reports. What makes saigonchildren’s approach unique? We partner with people and organizations at every level of a child’s environment – with family, community, teachers and with sponsors – to guarantee the most lasting impact. We also work with children themselves to provide social services such as counselling for children at risk of dropping out and for children returning to education. How does my sponsored child benefit? Their progress is monitored regularly and appropriate action taken, if necessary. Our team works tirelessly to increasing their skills, hope, happiness and confidence. We revisit the family of the children every year to reassess their circumstances and to make sure this help is given to those who need it the most. We also check with the family to see if their circumstances have changed for better or worse to see if any change is needed. What does my sponsorship mean to my sponsored child? As a sponsor, you will help transform your sponsored child’s life. Our scholarship packages differ depending on the level of the student. For example university students receive assistance to pay tuition fees, whereas school students generally receive school supplies (textbooks and notebooks), a new school uniform and 10 kg of rice per month during the school year. Saigonchildren visits each child in their home to assess their level of poverty and suitability for the programme. We hold regular meetings with the children and, where possible, with their families to assess and reassess their needs. Saigonchildren gets to understand the children individually and maintain contact to ensure they continue to have what they need to attend school. What does it mean to be a saigonchildren sponsor? – Thanks to your support you will take part in our daily work to support sponsored children to live a fuller, happier, healthier and safer life. – You can personally connect with your sponsored child if you wish and even travel to visit them. – You will witness the transformation through quarterly updates, and receive a detailed annual report with photos. 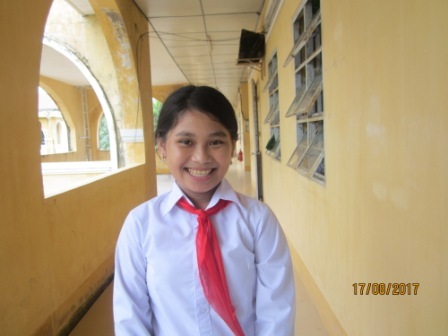 Why should I sponsor a child through saigonchildren? Because it works! Established in 1992, the goal of the Child Development Scholarship Programme is to ensure that all children excluded from school or whose education is jeopardized by poverty can attend school untroubled by worries about the cost of education to their families. We choose students with great care and visit them in their homes. Selection criteria include the family’s financial situation (in accordance with the national poverty standard), the family’s ability to earn, other family circumstances and lack of or limited support from other NGOs or the government. As a sponsor, you will witness the impact of your support through quarterly updates and you will give a better future to your sponsored child. How can I sponsor a child? It’s easy! Click here, fill out a quick form, and follow the rest of the steps.